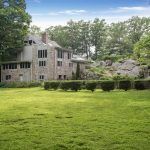 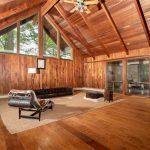 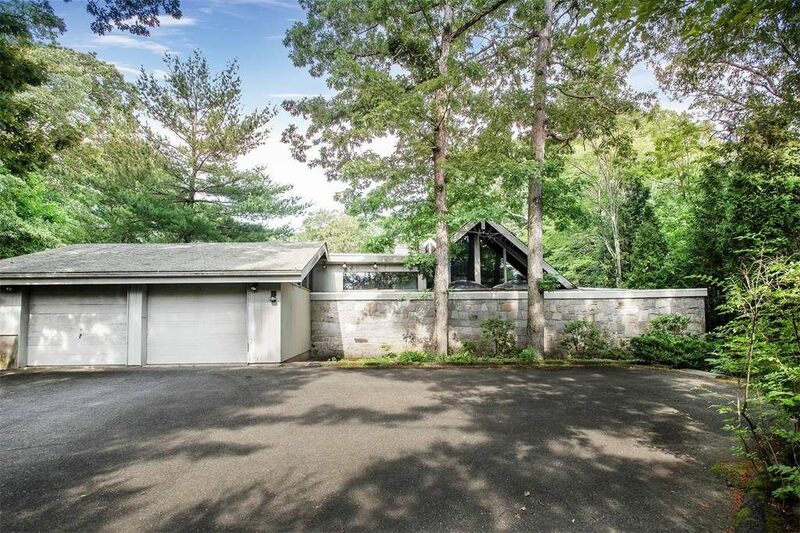 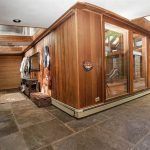 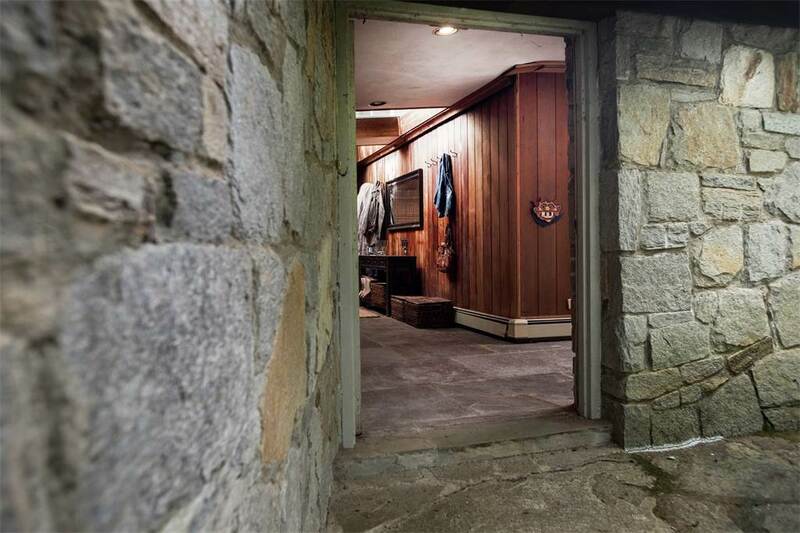 This unique property is located just one hour outside of Manhattan, nestled in the woods of New Canaan, Connecticut. 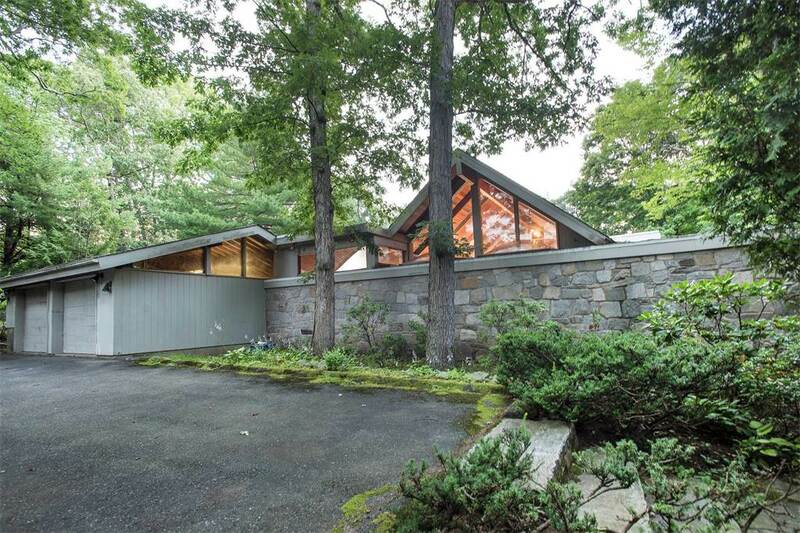 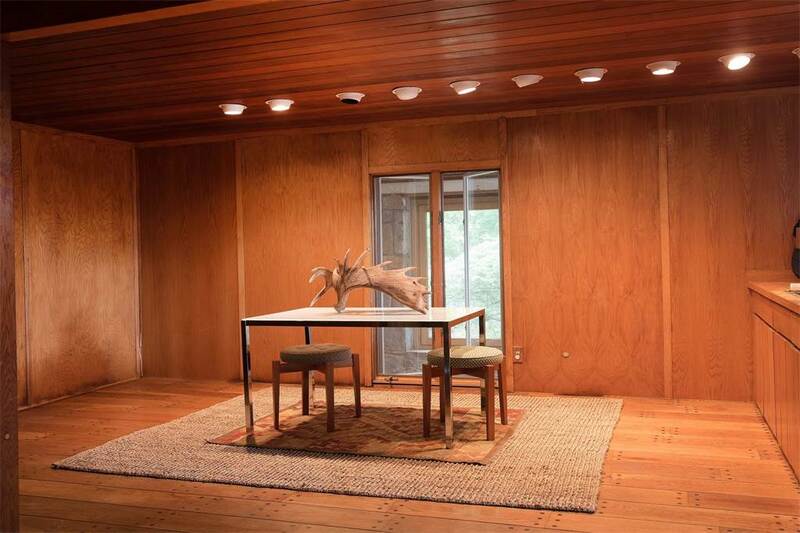 The striking structure was constructed in 1966 as a Techbuilt home, a style pioneered by the architect Carl Koch. 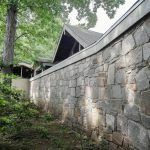 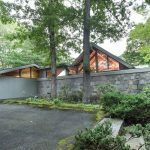 Since then, the property received stone expansions to build out a 5,700-square-foot residence with five bedrooms, five bathrooms and a great room with vaulted, beamed ceilings. 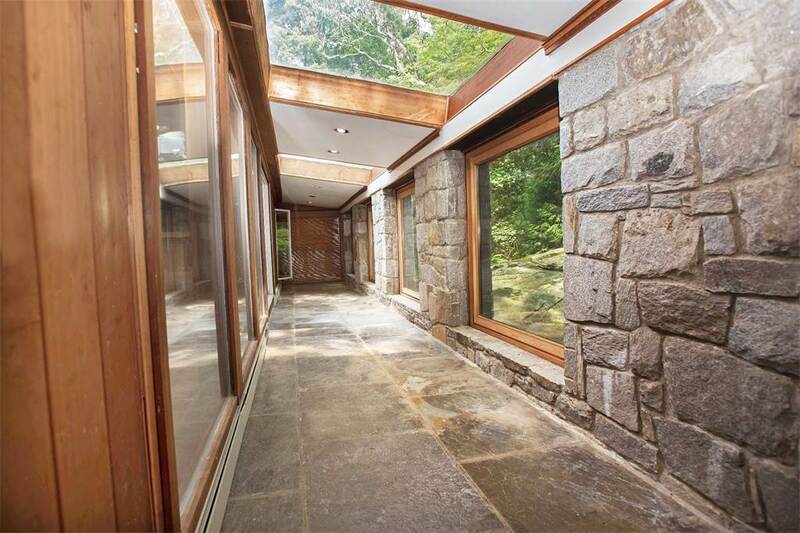 It’s on the market for the first time ever, with an ask of $979,000. 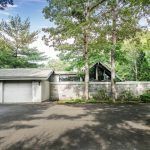 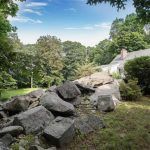 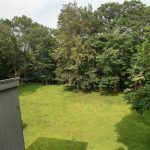 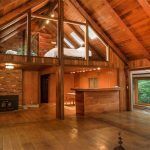 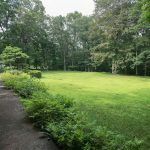 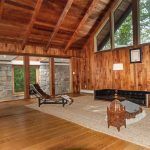 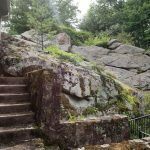 The home is located on 1.4 acres of wooded land with a rocky outcropping. 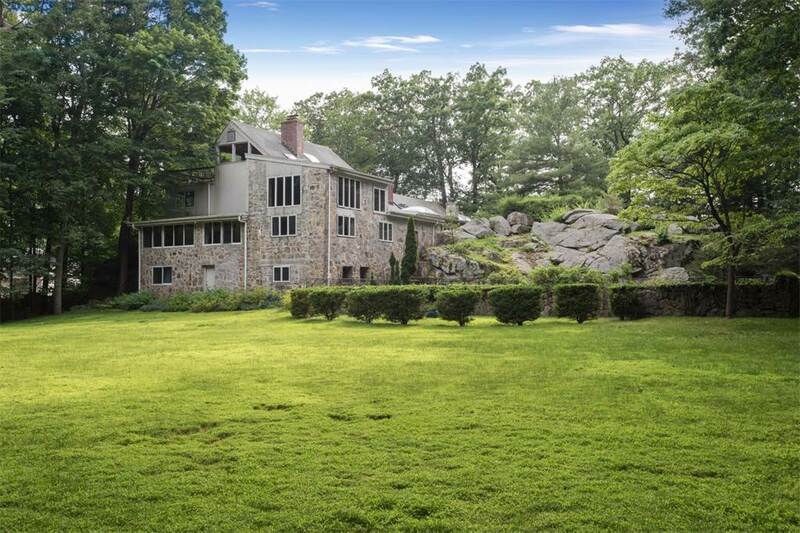 The stone facade and surrounding walls blend in seamlessly to the landscape. 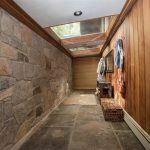 Stone walkways lead you down from the house out toward the surrounding property. 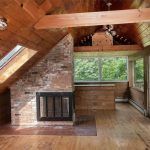 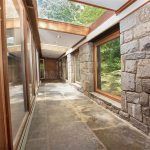 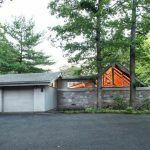 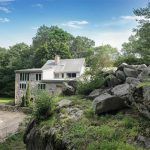 You can see how the design incorporated the landscape into the home, with the stone additions meeting the wood frame and huge windows and skylights that frame the trees. 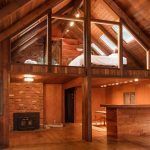 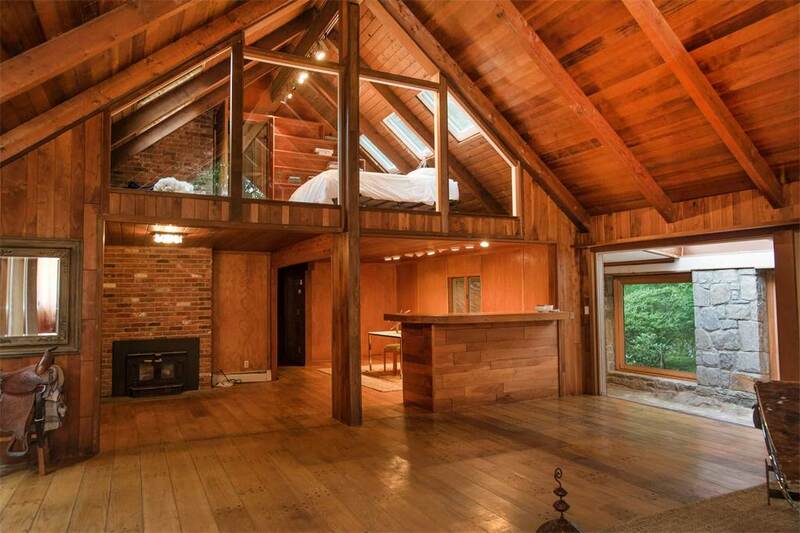 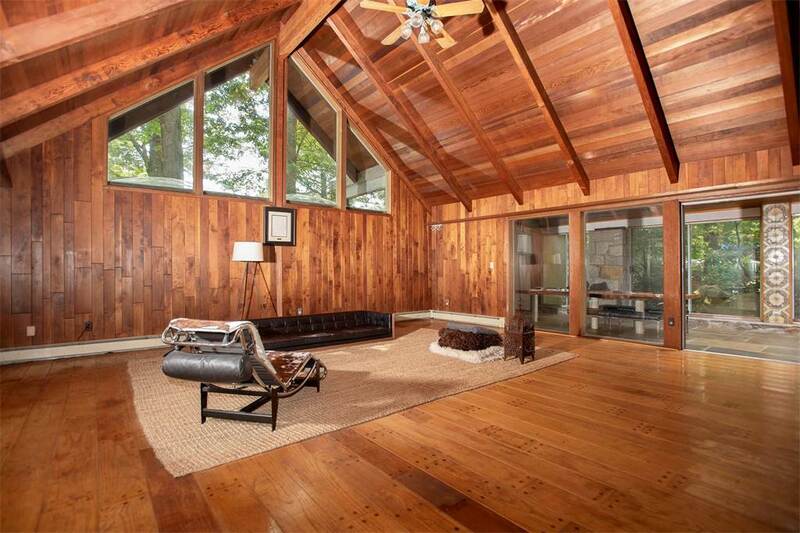 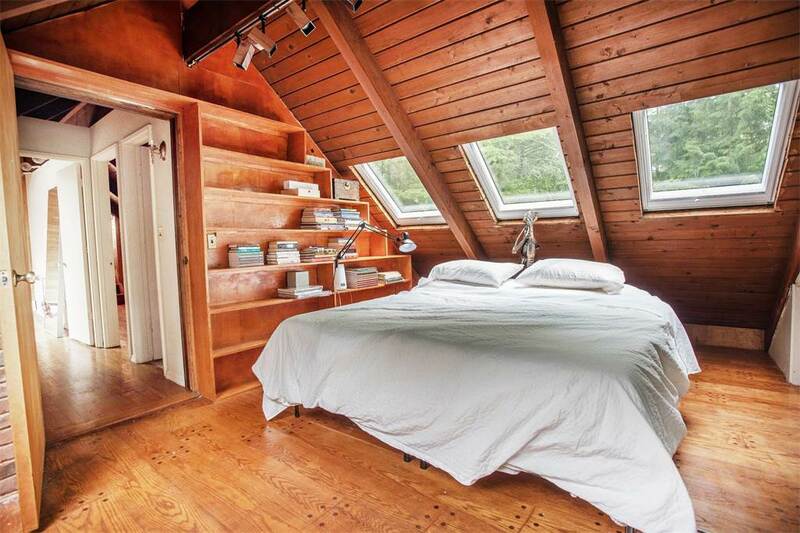 Under the soaring cathedral ceilings there’s an amazing great room and a lofted bedroom above. 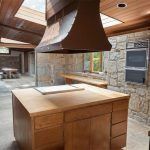 This portion of the home exemplifies the Techbuilt design. 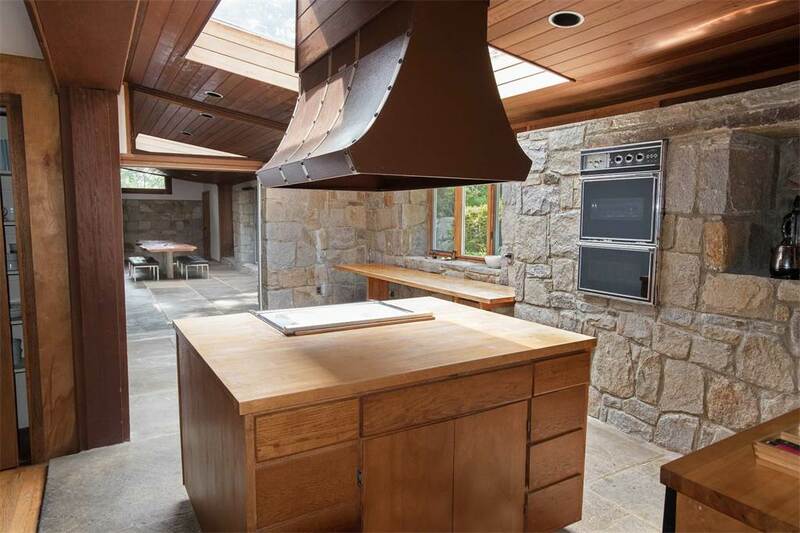 A kitchen and dining area, also accented by wood, stone and glass, is located off the great room. 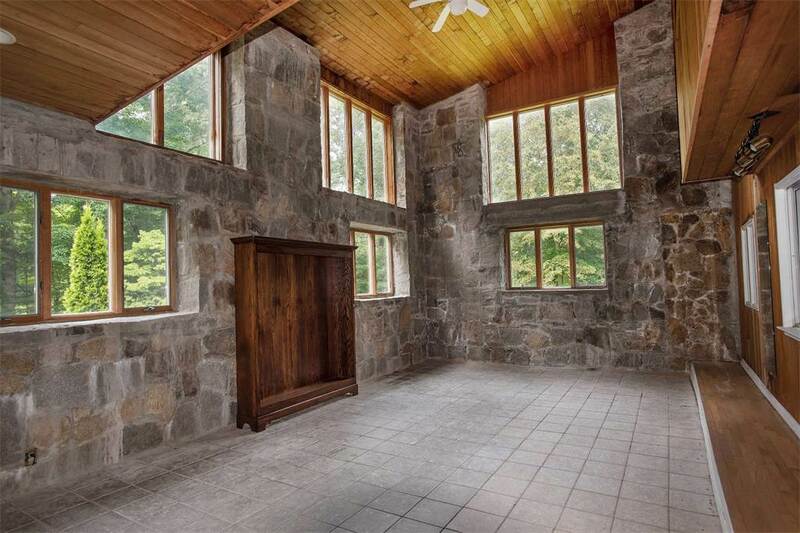 Inside the kitchen, some shelving and an oven were built right into the stone! 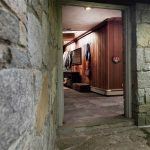 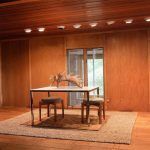 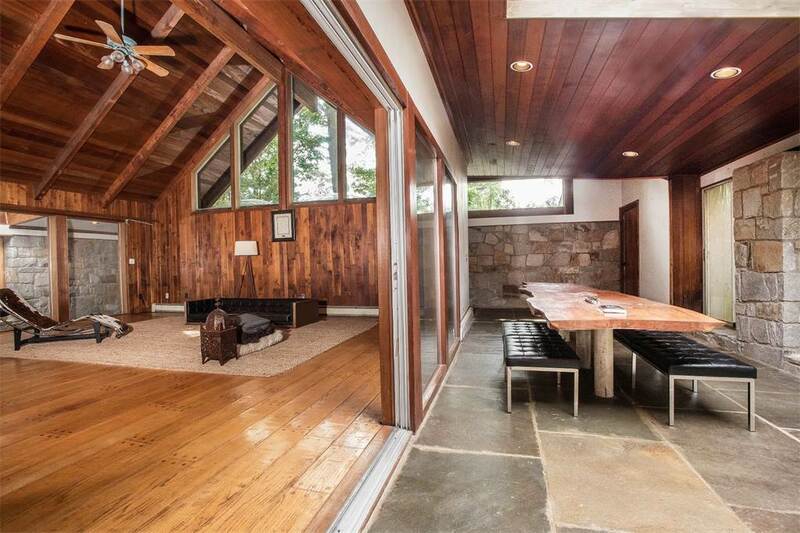 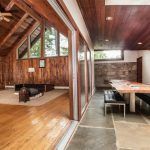 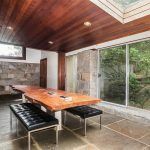 Another room near the rear of the property forgoes the stone for sleeker, midcentury details like the floor-to-ceiling wood. 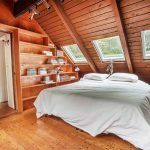 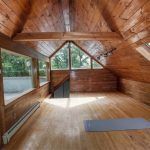 The home is full of surprising spaces, like a cozy bedroom under arched wood ceilings (with more skylights, of course) and built-in wood shelving, to an office space lined with floor-to-ceiling windows. 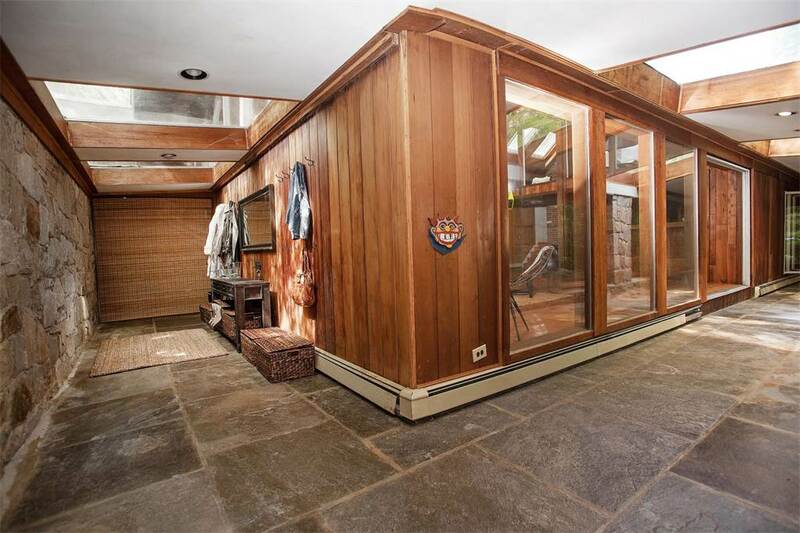 There is also a pool outside, which the listing suggests needs restoring. 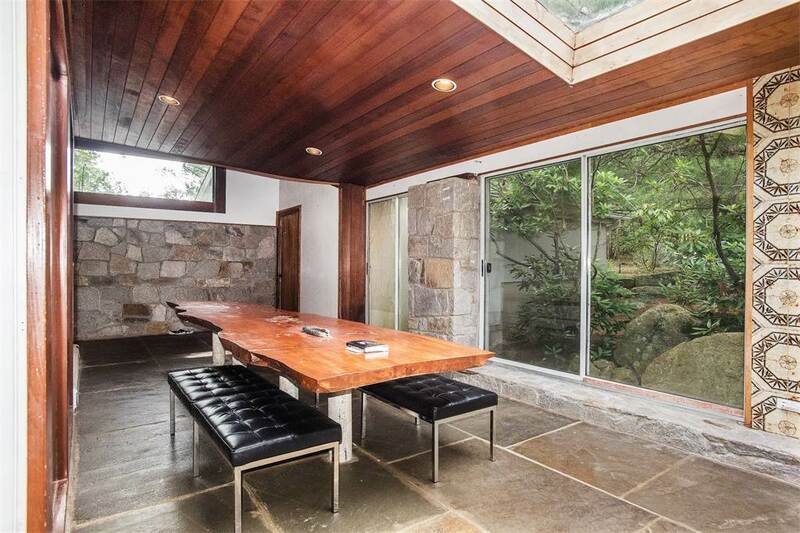 Overall this property—rich in materials and bathed in light—is a fun one to explore. 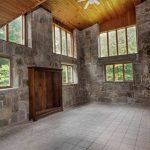 Check out many more photographs in the gallery below.